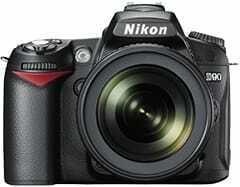 I recently sold my Canon G9 camera and bought a DSLR, the Nikon D90. The G9 was a great camera, but I quickly outgrew it and needed a DSLR. I took a couple weeks to extensively research and compare cameras before making my final decision (I also considered the Canon Digital Rebel T1i and the Canon EOS 50D). I didn’t want to rush my decision and wanted to make sure I made the right choice this time and not get stuck with a camera that I will outgrown in a year. 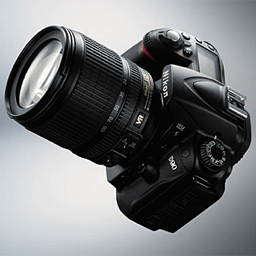 In the end, I am more than happy with my Nikon D90 – I know I made the right choice! In terms of lenses, I’m starting with a 16-85mm f/3.5-5.6 lens and a 70-300mm f/4.5-5.6 zoom lens – both of which are internal focusing, vibration reduction lenses. Down the road, I also want to get a Macro Lens, but I can manage without it for now. Nikon D90 Photos was published on Sunday, August 2, 2009 at 11:43am MDT by Daniel Menjívar and last updated on April 11, 2018 at 9:30pm UTC .